Beckwith, J. P. “The east coast of Florida is paradise regained.” 1898. 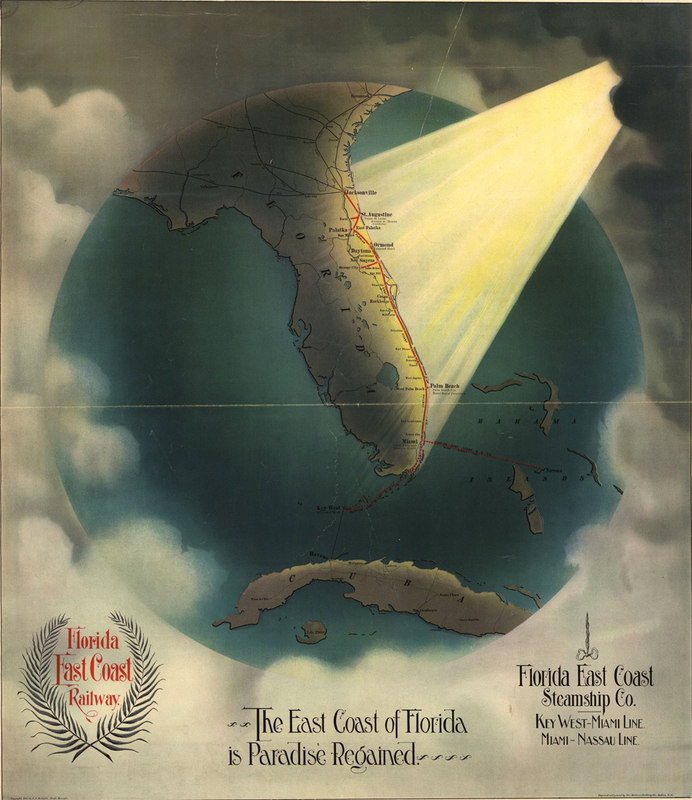 Notes: Florida East Coast Railway/Steamship line running from Jacksonville to Key West. Library of Congress Geography and Map Division. How does this source present the state of Florida? What details from the source support your response (see larger image)? Who is sponsoring this map? Why do you think so? What might that company hope to gain? Does the company still exist today? What more can you discover? Do a bit of research about the Spanish-American War, which was fought in 1898. How do you think this source might relate to the Spanish-American War?